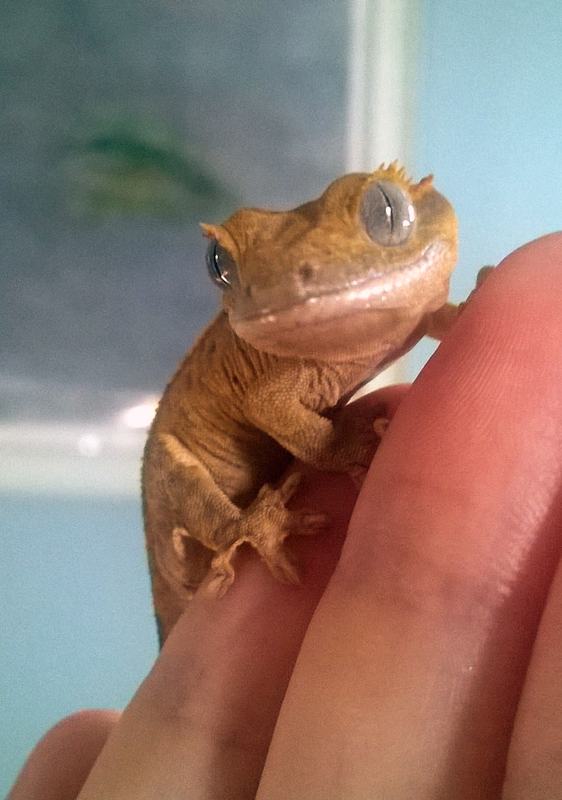 I've had a pet crested gecko for a little over a year. 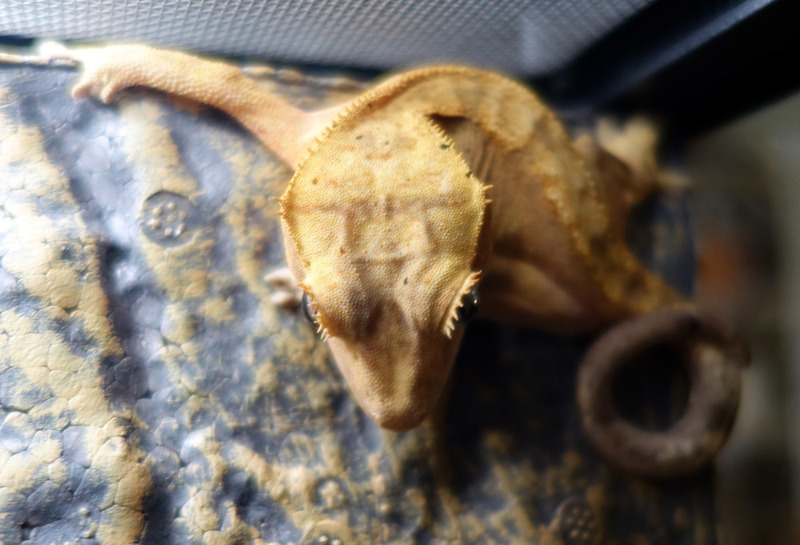 Her name is Lex (though I'm not 100% certain that she's a female yet, since juvenile crested geckos don't develop visible sexual organs until they are typically a little larger than she is - but since she presently lacks the visible sexual organs of a male, I'm going with female for now). She's really a fabulous pet for me - Lex requires very little effort in the way of care (no augmented temperature requirements, likes to live in a vivarium that dovetails nicely with my interests in keeping houseplants, primarily eats a reconstituted powder which minimizes the need to buy/keep insects) and is great fun to watch. She has a surprising range of colors and is gorgeous in each of them. 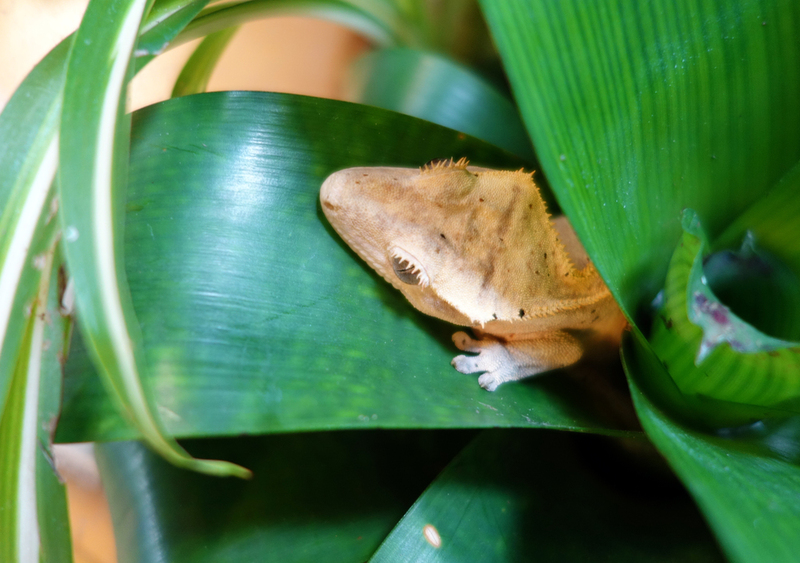 And she will, with good care and some luck, live a long time - the average lifespan of captive crested geckos is estimated to be 10 to 20 years!